ST. GEORGE – In a press conference Friday morning, Lt. Gov. Spencer Cox unveiled the process by which a replacement for outgoing Rep. Jason Chaffetz’s congressional seat would be elected. While it lays out a tight timeline coinciding with the municipal elections, the process is not without controversy as legislators argue that they, and not the governor, should be the ones to dictate the process. The roll out of the process determined by Gov. Gary Herbert and executed through the Lt. Governor’s Office comes a day after Chaffetz announced he would be resigning from office June 30. 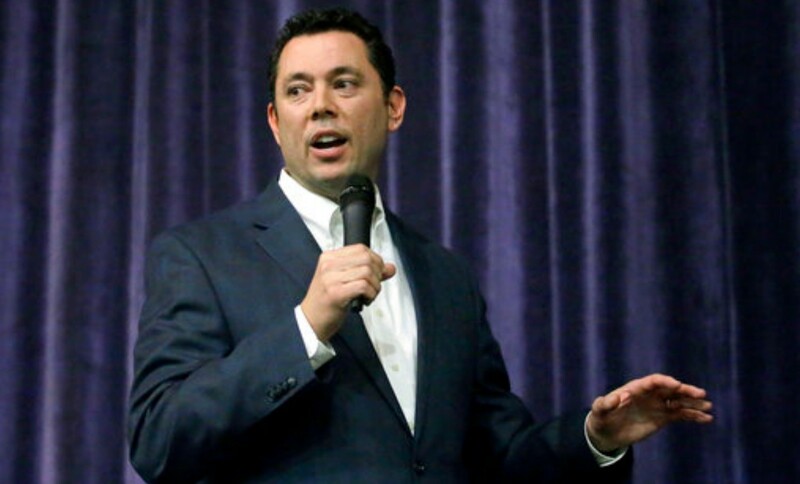 Chaffetz, who represents Utah’s 3rd Congressional District, said last month he wouldn’t seek reelection and may step down before his term is over. He plans to move to the private sector with speculation pointing to a spot at the Fox News Channel. With the exception of Utah having to replace a congressman who died in office nearly 90 years ago, Utah hasn’t had to set up a special election. “This is not something that happens everyday,” Cox said during the press conference Friday. His office oversees elections in the state. Along with Mark Thomas, the state’s Director of Elections, Cox outlined the process by which prospective candidates could file to run in the special election for a congressional seat. Watch the press conference announcing Gov. Herbert’s plan for a special election for Utah’s 3rd Congressional District, courtesy of Fox 13 News. Declarations of candidacy and filings of intent to gather signatures started at 1 p.m. at the Lt. Governor’s Office Friday and will carry on through May 26 until 5 p.m. Candidates filing with the intent to gather signatures need to get 7,000 from registered voters within the 3rd Congressional District to be on the primary ballot. They will have till June 12 at 12 p.m. to turn their signatures into the Lt. Governor’s office for verification. Candidates seeking to go through their respective party’s delegate-vetting process will be subject to whatever additional requirements the parties see fit to impose. However, those parties must hold their party conventions between May 27 and June 19 by 12 p.m.
A general primary will be held Aug. 15, with the general election for the congressional candidates being held Nov. 17. The process was tailored to go along with the municipal election cycle, Cox said. That way it helps save taxpayer money, he said. According to a poll published by UtahPolicy.com Wednesday, a majority of Utahns – 76 percent of respondents – favor allowing all voters to select party nominees. In contrast, just 19 percent of those polled were in favor of allowing only party delegates to select the candidates to replace Chaffetz. Dan Jones & Associates conducted the poll survey May 15-16 among 603 registered Utah voters. The poll has a margin of error of plus-or-minus 3.99 percent. Well, the governor has done just that and then some, much to the ire of members of the Legislature. Republicans in both the Utah House and Senate unanimously passed a resolution Wednesday calling on the governor to call a special session so the Legislature could hammer out the special election process instead of leaving it to him, as reported by the Deseret News. Leading members of the Legislature voiced their disagreement with the governor’s move in an op-ed submitted to UtahPolicy.com Friday. It is clearly the role of the Legislature to establish election procedures and “prescribe them by law.” Nowhere is the executive branch given the authority to establish these procedures; the governor’s legal role is to issue a formal writ declaring that an election will take place. …It is without question the duty of the Legislature to put in place the parameters of an election. It is equally without question the governor’s job to call a special session to allow us to fulfill this responsibility. For the executive branch to fail to do so, and to then purport to establish “The Times, Places and Manner” outside of the legislative process is an inappropriate breach of his constitutionally defined power. …We need to hold an election of the people and it must be done expeditiously. Governor Herbert’s decision to call an election without allowing the Legislature to perform its legal and constitutional duty is disappointing and exposes the vacancy election process to unnecessary legal and political risks. 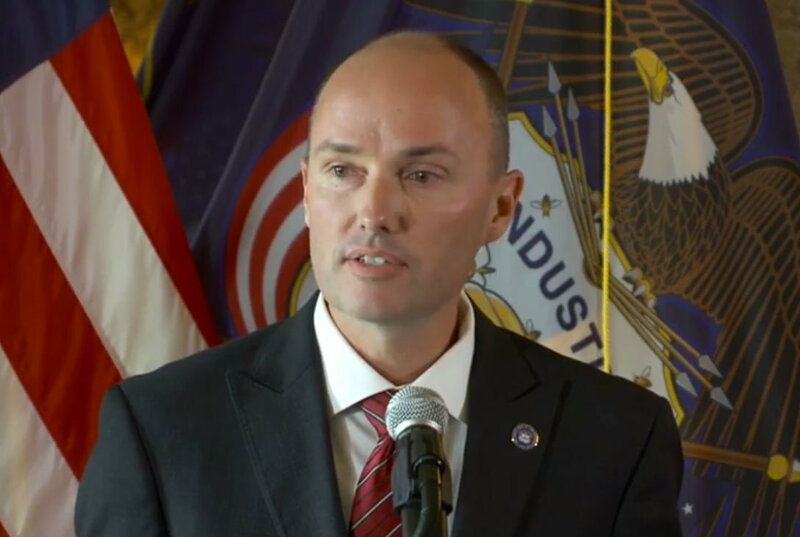 Utah has a special election process in place for every political office except a congressional seat, Rep. Walt Brooks, R-St. George, said Friday, and in each case the process has been outlined by the Legislature and not the Governor’s Office. Some of the issues legislators have with the governor’s plan include it taking too long. Stanard told St. George News via a text that certain parts of the timeline need to be clarified. This and other issues related to the governor’s plan that the Legislature takes issue with will most likely be reviewed by legislative counsel who will advise legislators accordingly, Stanard said. 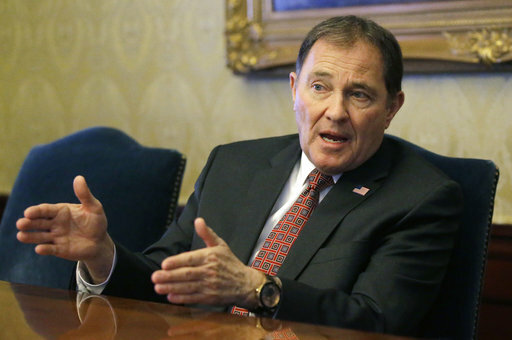 Herbert told reporters during his monthly press conference on KUED this week that while he understands the Legislature’s concerns, yet he is mandated by the Constitution and state law to call a special election. “It’s not a matter of can I, or should I, or would I – I’m mandated to do it,” Herbert said. While the Legislature argues whether or not he has the authority to define the process of the election, Hebert said that he does, and has done so. As evidenced by Friday’s unveiling of that election process, he has no intention of calling a special session to allow the Legislature to figure one out. The Legislature had the chance to pass legislation dealing with congressional midterm elections during the 2017 legislative session, he said, and yet a bill proposed to address the issue didn’t survive the session. The Legislature has threatened to sue the Governor and Lt. Governor’s Offices over the election process if need be. Cox downplayed the threat of litigation Friday, saying that in the elections business, “you get sued a lot,” noting that he was sued over the implementation of the 2014 Count My Vote compromise law the Legislature approved. “Our job is to run an election and the attorneys will deal with anything that comes together,” Cox said. “…We’re not concerning ourselves with that. It’ll take care of itself one way or another,” he said. If a special session were called, Cox said, there is no guarantee the houses of the Legislature would be able to see eye-to-eye on the process, or that the governor would even sign off on it. However, the Legislature does have a plan, Niederhauser told The Salt Lake Tribune Friday. The plan would allow party delegates to choose nominees over the next three weeks with a general election set for Aug. 15. “It would actually get someone in there sooner than the governor’s plan,” Niederhauser told the Tribune. The Legislature wants to get someone back to Washington, D.C., as soon as possible so he or she can vote on health care and tax reform, budget matters and so forth. “That’s our concern: We’re going to have a vacancy where there are potentially some major votes,” Niederhauser said. As for the man that set wheels in motion for the special election, Chaffetz told reporters Thursday that he supported the governor’s plan for the special election, having worked with the governor’s office on the matter. He favors the process because it is quick and piggybacks on the municipal elections so as to save taxpayer money, he said. “I think that’s a positive thing,” Chaffetz said. He acknowledged there is a feud between Herbert and the Legislature and said they would have to figure something out. As well, if the Legislature wanted to address defining the rules for a special congressional election, they should have done it long before now. trying to make sure they get the people they have hand picked into the “election.” That way, no matter which one of their hand picked puppets gets elected, they are happy. You guys had your chance, you blew it. Bunch of power hungry, self-serving scoundrels. Why would Chaffetz campaign for election in November and resign in May? There is more to this story. Make him pay for the special election expense. The short answer is that he’s a sleaze, a snake, and an opportunist. And he doesn’t want to do his job of looking into our corrupt orange-faced buffoon trump. So he’s gonna wriggle out of his responsibility and take the easy way out. Man, so many of these utah mormon politicians are total sleazebags. We didn’t vote you in with the option of you quitting. You let the nation down. Unbelievable.